Hey folks, as you know every 2nd person using internet on his Smartphone. Or you can say it’s the time of mobile phones. So it is most important to having a mobile friendly or Responsive website for your business. Do you know Google going to update its algorithm for mobile friendly website? It will boost the ranking for that website that provide great user experience on mobile or any screen. And hit back that website which is not mobile friendly. There are also many other reason that’s why you need to have a Responsive website design. As I explained above that every 2nd person owning a phone and he uses the internet on his phone. So it becomes most important to have a website that can perform better on small screen devices like tablets and mobile phones. Here is a screenshot which show the usability of internet on all screen devices. As you can see in 2010 mostly people using desktop to use internet but in 2011, 2012 and 2013 usage of mobile and tablet are increasing. So to increase mobile traffic and user experience on mobile devices you need to have a mobile friendly or responsive website designs for you business. Yes, it is most important point. 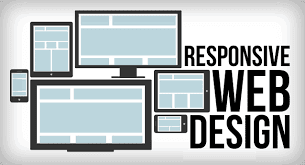 To increase your user’s experience on your website, you should have a responsive website. Because your user can open your website on any device and if it will not be device friendly then it give a worst experience to your user and he will never come back to you. Or they will leave your website and visit on your competitor’s website which is your big loss. To save from this loss, never let go your user from your this reason. Make your website responsive and increase user experience level. As I have explained about new coming algorithm of Google above in this post that Google also love the mobile friendly website and it wants to rank up those website which are responsive and mobile friendly. On April 21, 2015 Google going to launch an algorithm to encourage the ranking of Mobile friendly websites and this will hit back those websites which are not responsive or mobile friendly. So before get penalize from this algorithm, make your website responsive. If you are not a web design expert, hire a professional web designer and ask him to make your device friendly website. According to Google Page speed developers, a mobile friendly website take 1 second to load above the fold portion and take 2 seconds on remaining portion. But a desktop version website cannot load on this speed in mobiles or tablets. It will take more time which cause to increasing loading time of a website. It also affects the SEO of a website. It is most interesting point that Responsive website are not made on the basis of devices, these are made on the basis of screen size. That mean, it doesn’t matter on which screen your website is viewing. It will look awesome and will not frustrate your user. It will work for all sizes of screen and also look beautiful on there. So now I think it is much clear that why you need a Responsive website design for your business. A responsive website can increase your leads and business. And if you have not a responsive website then it also can give you leads to others. So don’t waste your time and Hire a Professional Website Designer and ask him to create a responsive website for you.